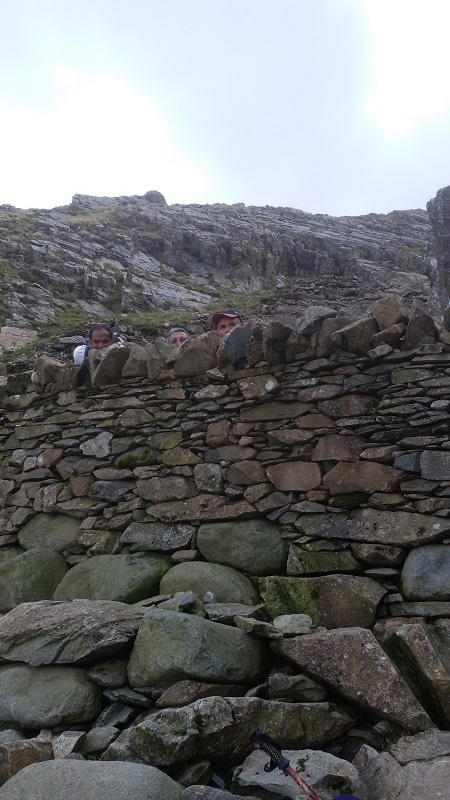 We had a very enjoyable weekend, with a total of 42 walkers and 4 volunteers . On arrival at 12 noon on Friday, we set off at 1pm after a light lunch. 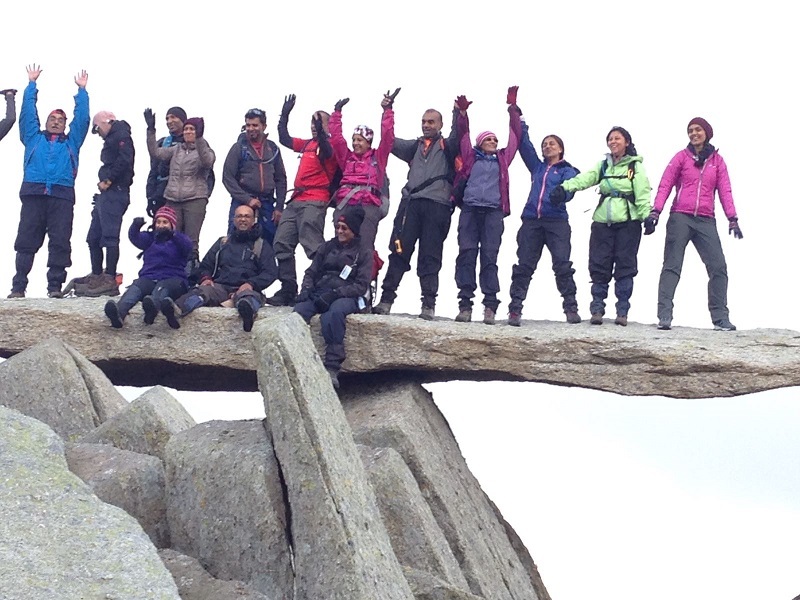 First up Glyder Fawr (999m) via the famous devils kitchen route passing the beautiful lake Llyn Idwal. The last 300m marked path was made of small stones. The Summit is rocky. 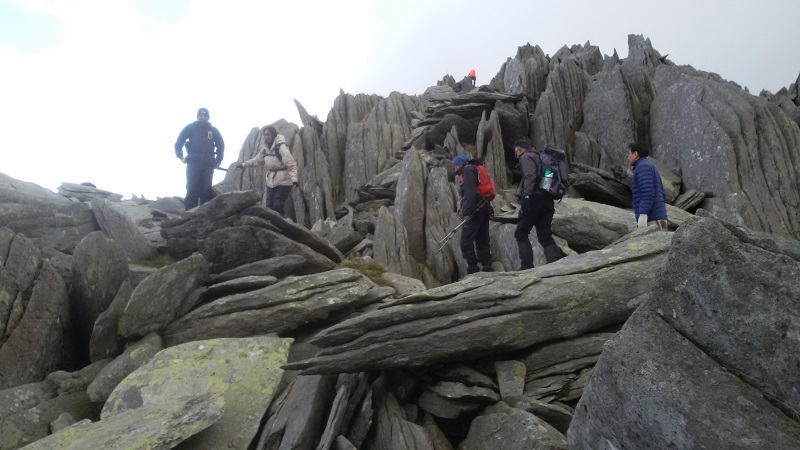 Then the ridge walk towards Glyder Fach (994m). This section has unique amazing large boulders making some sections very challenging. 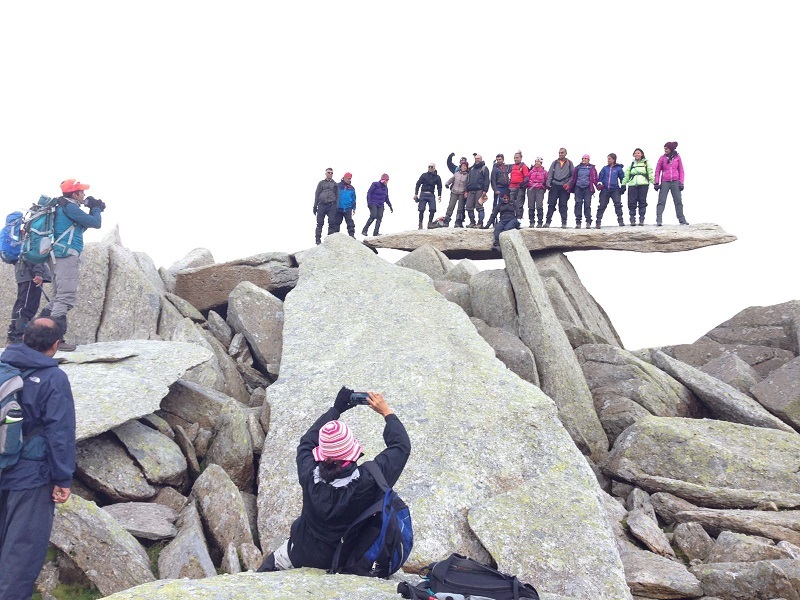 The summit Glyder Fach has a hugh slightly sloping stone slab where 20 to 30 persons can stand. Coming down a very steep rocky slope towards lake Llyn Bochlwyd. These steep two peaks make a very challenging and unique trek of app 6 miles. Saturday was raining and gave us time to rest and get to know the team. 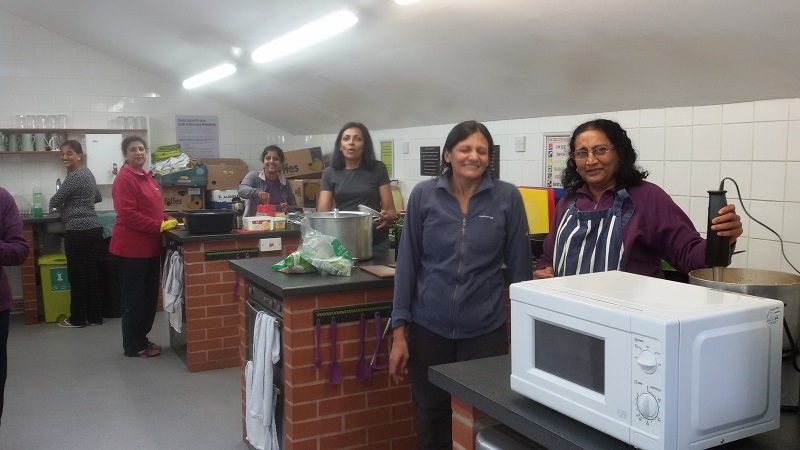 Our wonderful volunteers made the meals. Thank you so much! Sunday the weather was brilliant, and we were all ready and started at 7 am. 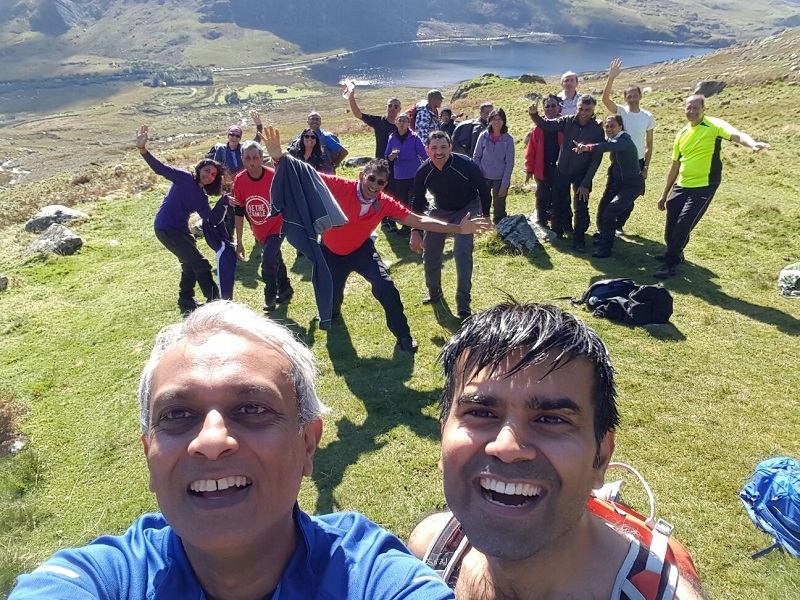 This three peaks is a beautiful challenge of app 8 miles with some fantastic scenery. 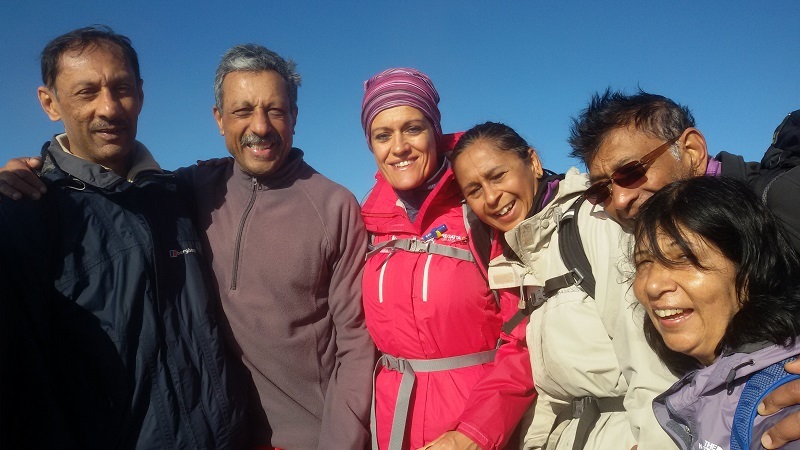 Both treks are a perfect training for any foreign high altitude treks. 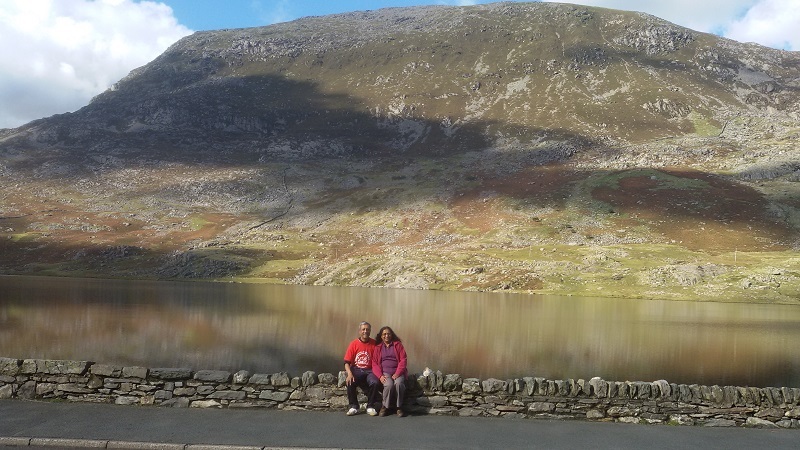 We stayed at Idwal YHA having booked the whole unit – 43 beds. A very nice place. Please do look at the photos to get real a impression. 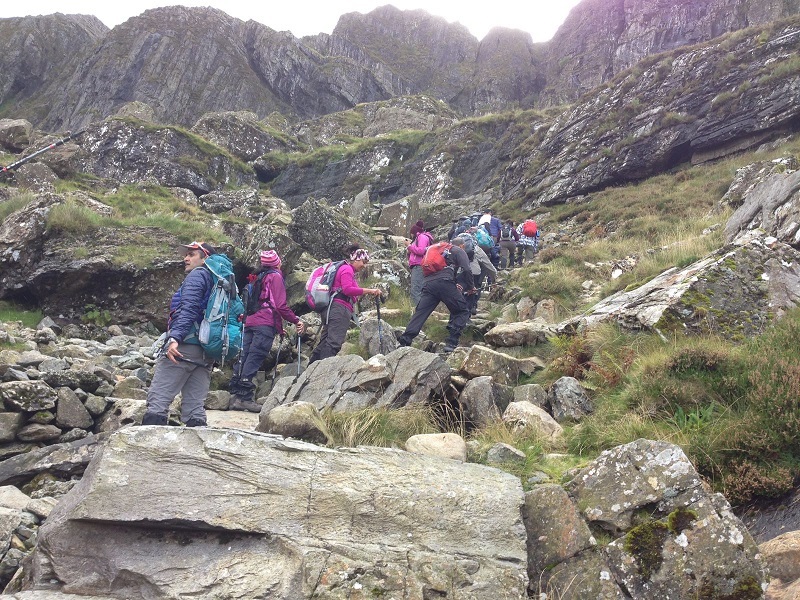 The Multi Peaks is designed to involve fairly strenuous exercise and for your own safety you must be aware of this and consider carefully whether your general level of fitness, or any particular illness or ailment prevents you from participation. This is a tough challenge that will test your endurance and strength. 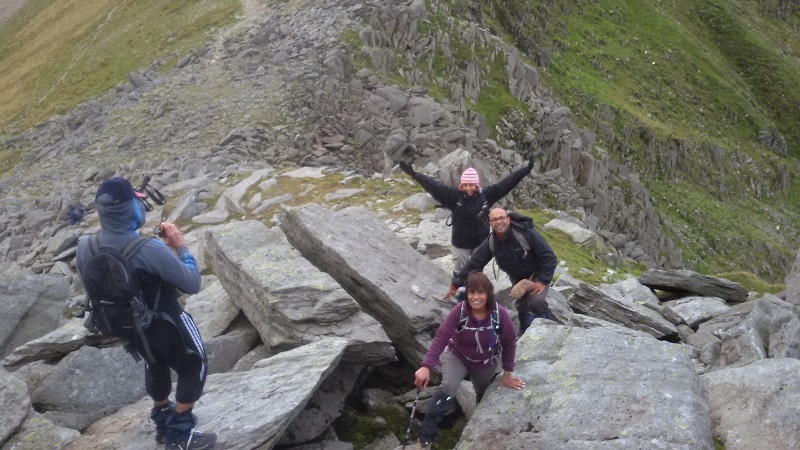 Set in the stunningly beautiful Wales you will climb 4 peaks within 10 hours, encountering difficult terrain, lengthy descents and steep ascents along the way. Your mental and physical strength will be tested to the maximum. 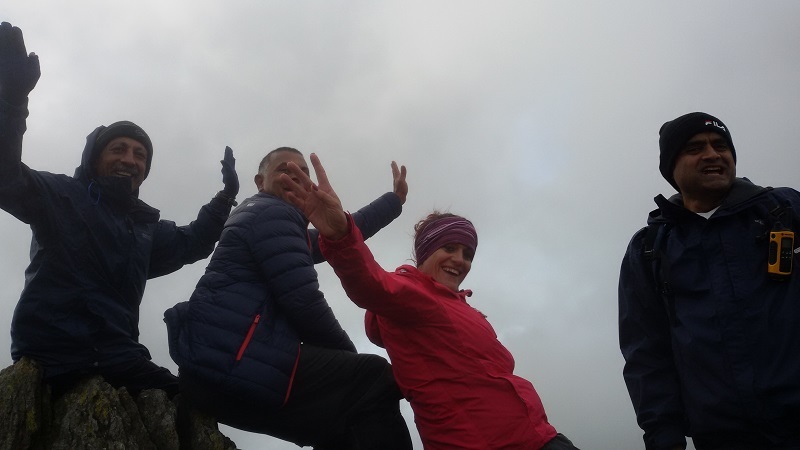 Why not challenge yourself and a team of colleagues with this exciting 4 Peaks event which provides an excellent platform for both team building and also charity fundraising. 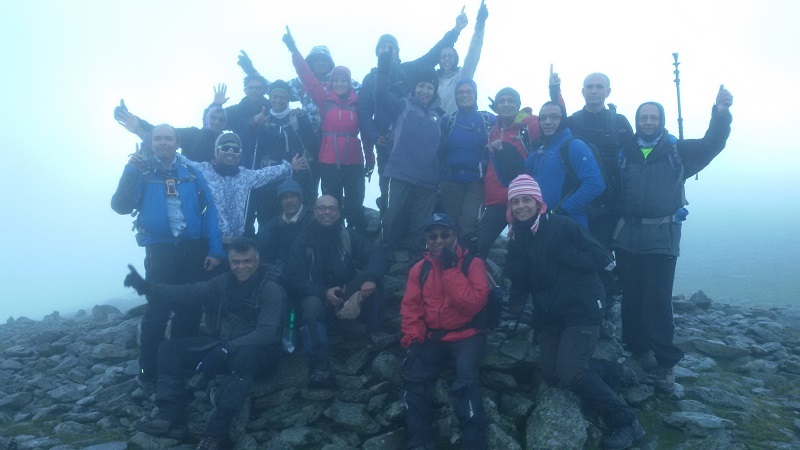 If you have any queries or need any clarification, please get in touch on ctay3peaks@gmail.com. 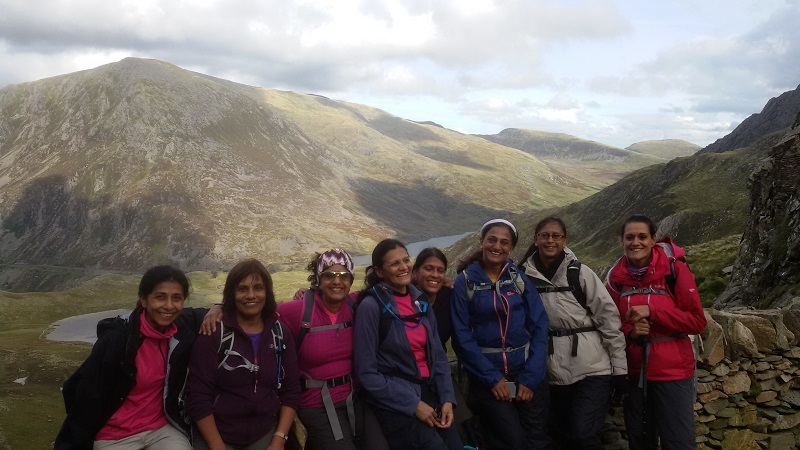 First up Glyder Fawr 999m via the famous devils kitchen route passing the beautiful lake Llyn Idwal. 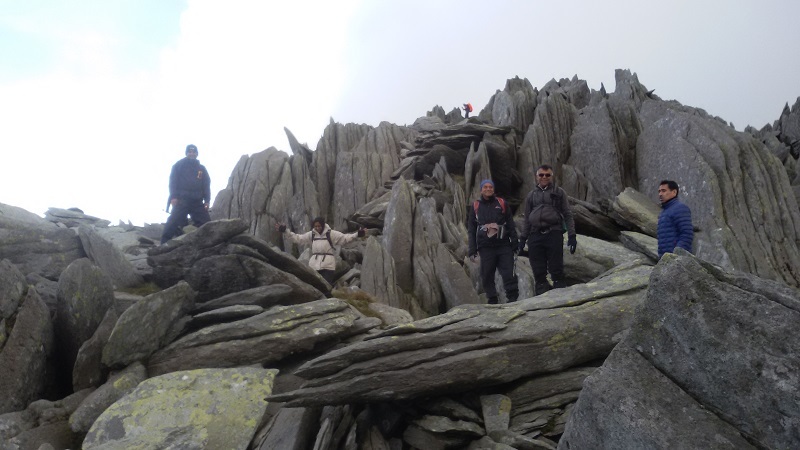 Then the ridge walk towards Glyder Fach 994m. 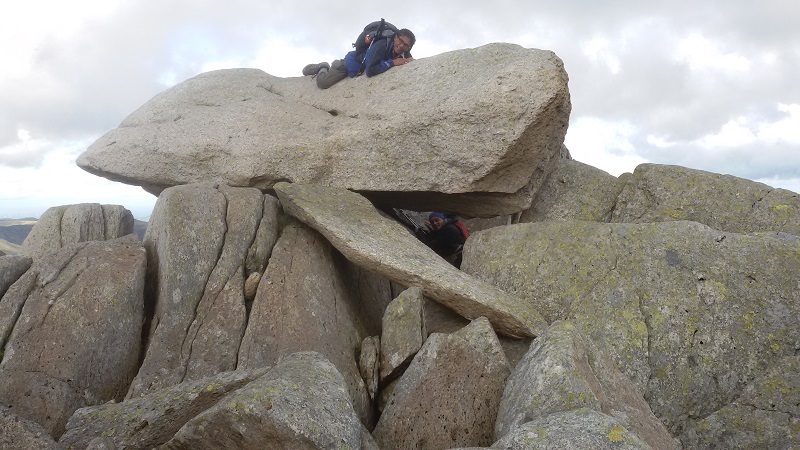 This sections has unique amazing large boulders making some sections very challenging. Coming down a very steep rocky slope towards lake Llyn Bochlwyd. These steep two peaks make a very challenging and unique trek of app 6 miles. 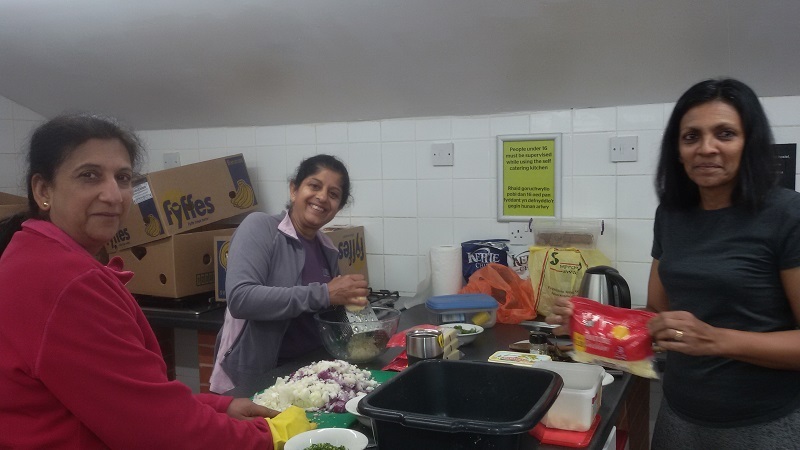 Our wonderful voulnteers made the meals. Thanks youuuuuuuuuuuuu soooooooooo muccccchhhhh. Sunday the weather was brilliant, we were all ready and started at 7 am. 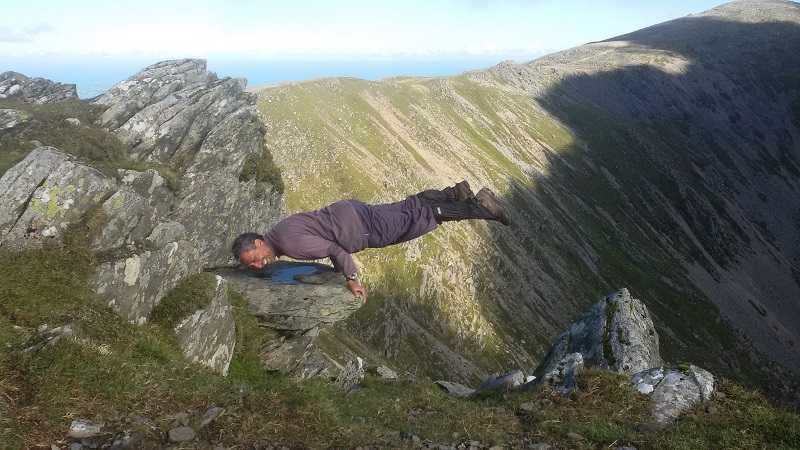 We stayed ay Idwal YHA having booked the whole unit – 43 beds. Very nice place.